This is part of our collaboration with Zooniverse and the Space Warps research team to identify brand new gravitational lenses. Want to hunt for gravitational lenses and contribute to scientific discovery? 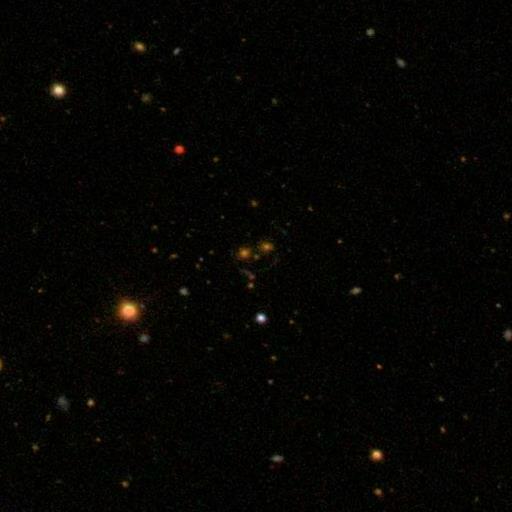 Go to spacewarps.org to help astronomers identify these special gravitational mirages! Last week we asked you to help us spot galaxies magnified by other galaxies—a phenomenon known as gravitational lensing. 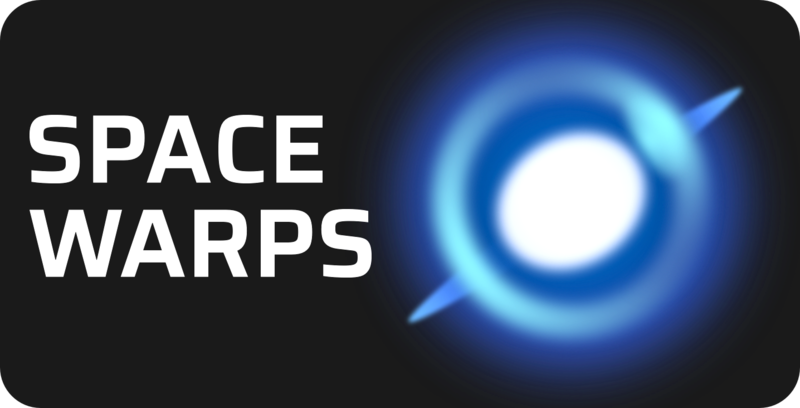 The project is called Space Warps, and it’s a collaboration with astrophysicists and the citizen science platform Zooniverse. Over a million galactic glimpses later, we’re ready to reveal what we found—including a galaxy more than seven billion light years away, and what appears to be a rare triple galactic lens. 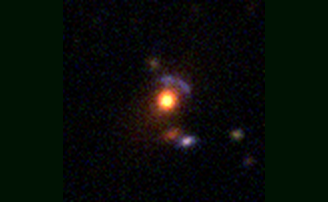 For example, this candidate gravitational lens caught the eye of @Dolorous_Edd. The blue arc is visible through an extended envelope of stars from the lens galaxy. This particular lens is about six to seven billion light years away, but researchers say that they expect to discover dozens of lenses to be located even farther away than this one. 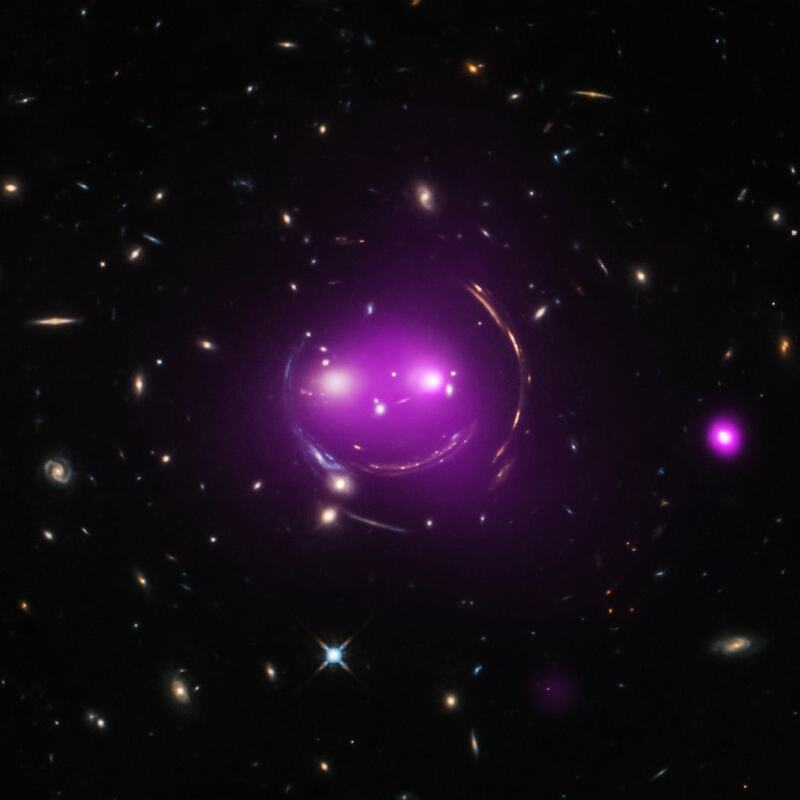 Astronomers discovered the “Cheshire Cat” gravitational lens using lower resolution imagery from the Sloan Digital Sky Survey in 2008 (left). Then NASA’s Hubble Space Telescope and the Chandra X-ray Observatory zoomed in for a close-up (right). That’s an example of what will happen next for the most promising candidates revealed in the Spacewarps challenge—astronomers will zoom in for glamour shots that reveal more about the galaxies’ structure and composition. In this wrap-up segment, Space Warps co-founder Aprajita Verma and Zooniverse co-lead Laura Trouille share their favorite finds, and suggest a few other projects for armchair astronomers to dig into next. Aprajita Verma is co-founder of Spacewarps, and a senior researcher in astrophysics at the University of Oxford in Oxford, England. Laura Trouille is Director of Citizen Science and Co-I for Zooniverse. She’s based at the Adler Planetarium in Chicago, Illinois. The microorganism’s contributions to society, from bread to biotechnology. We asked an astronaut, an aerospace engineer, and a space futurist what life would be like on the Red Planet.